Jawad Ahmad is an attorney admitted in New York and is currently based in Singapore. 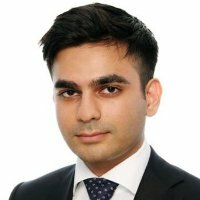 From January to March 2012, Mr Ahmad worked as an intern at the International Bureau of the Permanent Court of Arbitration where he assisted Legal Counsel on legal research assignments concerning the Indus Waters Kishenganga Arbitration, but did not directly work with the Court of Arbitration. This post is derived from the Author’s forthcoming article in Arbitrational International – “Indus Waters Kishenganga Arbitration and State-to-State Disputes” Arbitration International Issue 3 2013. On 18 February 2013, the Court of Arbitration (Court) rendered the Partial Award in the Indus Waters Kishenganga Arbitration between Pakistan and India. The Permanent Court of Arbitration in The Hague acted as Secretariat for the Court. The Court is expected to render the Final Award towards the end of 2013. The case was brought under the Indus Water Treaty 1960 (Treaty) and it is the first time an arbitration has been initiated under the Treaty. The Treaty sought to divide the use of the Indus River System between Pakistan and India. With the involvement of the World Bank, the two countries were able to draw up the Treaty with specified rights and obligations. The Treaty allocated the Eastern Rivers exclusively to India and the Western Rivers to Pakistan. Each country has rights to develop its respected rivers for development purposes, such as hydro-electric power. The Treaty permitted India to use the Western Rivers for the purposes of generating hydro-electric power under an agreed framework. The current dispute involves India’s permissible use of the Western Rivers under the Treaty. Water is an important economic asset for both India and Pakistan. Not only does it account for a large part of each country’s agricultural use, but also hydro-electric power. Investment in the Indus Basin Irrigation System is in the billions of dollars and it has contributed to 21 per cent of Pakistan’s GDP in 2009-10 (see Shahid Ahmad, ‘Water Insecurity: A Threat for Pakistan and India,’ Atlantic Council). India, with an enormous population, needs to expand its energy sources and is currently investing billions in developing dams along the Indus River system (see The Economist, Unquenchable thirst: A growing rivalry between India, Pakistan and China over the region’s great rivers may be threatening South Asia’s peace). The stakes in this arbitration is, therefore, very high for both countries. Pakistan filed for arbitration on 17 May 2010 under Paragraph 2(b) of Annexure G of the Treaty. Pakistan sought to contest India’s construction of the Kishenganga Hydro-Electric Project (KHEP) which is located in India-Administered Jammu and Kashmir. Among other issues, Pakistan argued that the KHEP would significantly reduce the power output of the Neelum-Jhelum Hydro-Electric Project (NJHEP). The NJHEP is Pakistan’s dam that is being constructed further downstream. The Court was composed of Judge Stephen M. Schwebel, as Chairman; Sir Franklin Berman; Professor Howard S. Wheater; Professor Jan Paulsson; Judge Bruno Simma; Professor Lucius Caflisch; and Judge Peter Tomka. On 31 August 2012 the Court concluded the hearing on the merits. Prior to the merits hearing, the Court conducted two site visits. On 22 June 2011 the Court visited the Neelum-Jhelum River and the KHEP and on 15 February 2012 the Court only visited the Neelum-Jhelum River. After the first sight visit in June 2011, Pakistan filed for interim measures seeking to halt any further constructions of the KHEP that would interfere with the flow of the river. On 23 September 2011 the Court issued an Order on Interim Measures. Among other determinations, the Court allowed India to continue works on the KHEP, but not with respect to any permanent works on or above the Kishenganga-Neelum River that could affect the full flow of the river to its natural channel. 1) The First Dispute was whether the KHEP’s inter-tributary diversions are permissible under the Treaty. Since the KHEP is a ‘run-of-the-river’ plant, power is generated by diverting water flow to a system of tunnels at lower elevation. According to Pakistan, this diversion interfered with Pakistan’s agricultural and hydro-electric use of the river further downstream and was not permissible under the Treaty. 2) The Second Dispute was whether India is permitted to use drawdown flushing to tackle sedimentation. This technique requires reducing the reservoir level below Dead Storage Level. According to Pakistan, the technique would enable India to control the volume and timing of the water flow further downstream and is not permissible under the Treaty. As a procedural issue, the Court also addressed whether Pakistan had properly invoked the Treaty. Since the case concerned activities in the disputed territory of Jammu and Kashmir, it was disputed between the Parties whether Pakistan had invoked to Treaty to assert territorial claims in the area. This was crucial because under Article XI(1) of the Treaty it was prohibited to interpret any rights, claims or obligations that are not expressed in the Treaty. After reviewing the drafting history of the Treaty, the Court found that each country’s respective territorial claims would be unaffected by the Partial Award. The Partial Award only determines the rights and obligations of the rivers. In conclusion, Pakistan was entitled to invoke the Treaty as it concerned India’s use and obligations of the rivers for generating hydro-electric power. The Court found that the KHEP’s inter-tributary diversions are permissible under the Treaty. According to Article III(1) India has an obligation to ‘let flow’ all of the Western Rivers. However, there are exceptions listed under Article III(2) which allows India to use the Western Rivers for specific purposes. One of these exceptions is the generation of hydro-electricity. The Court found that a plain reading of the above paragraph reveals that the Treaty intended allowing the Parties to conduct inter-tributary diversions. Inter-tributary diversions were not intended to be a mere ‘occasional’ activity, but in fact an integral part to harness the full extent of hydro-electric power. The Court turned to the drafting history of the Treaty to determine whether inter-tributary diversions are ‘necessary’. India had proposed the inclusion of the phrase ‘if necessary’ into the Treaty, which goes to show the significance India attaches to inter-tributary diversions. However, the Court recognized that this was not an open ended right but rather one whose extent had to be determined in each particular case. With respect to the KHEP, the Court found that ‘necessity’ had to be evaluated against the ability to generate hydro-electric power. In order to effectively generate hydro-electric power, it required conducting inter-tributary transfers by using the difference in elevation between the tributaries. Another crucial phrase in paragraph 15(iii) of Annexure D is “then existing Agricultural Use or hydro-electric use.” This goes to the heart of the First Dispute between the Parties. Upon reading the entire paragraph, the Court found that the use of the present tense words such as ‘is’ and ‘has’ supports an ambulatory interpretation. This would mean that India would regularly have to check whether Pakistan’s agricultural or hydro-electric use is not adversely affected. Pakistan argued for this interpretation. However, the Court looked to the overall objective and purpose of the Treaty. The Treaty ensured that both Parties had rights and obligations concerning the use of the Western Rivers. It would be highly inefficient, not to mention extremely impractical, if India had to give way constantly to Pakistan’s use of the rivers after construction and design plans had been approved. This would have a severe impact on India securing project deals on the Kishenganga-Neelum River. As a result, a strict ambulatory interpretation of the phrase would not do justice to the intentions behind the Treaty. India’s proposed interpretation was that a ‘critical period’ existed whereby India no longer needed to take Pakistan’s use into account and this was when India communicated a ‘firm intention’ that a specific project would go ahead. However, the Court found that determining an exact date for a ‘firm intention’ would be difficult in complex infrastructure projects. A middle way was preferred. What is required, according to the Court, are facts demonstrating to a high degree of certainty that the project would proceed. This does not, however, mean the Parties have to ‘race’ to demonstrate that they made use of the waters first. Consequently, it was important to determine which of the projects – India’s KHEP and Pakistan’s NJHEP – demonstrated significant steps to actualization. According to the Court, India had demonstrated to a high degree of certainty that the KHEP would actualize between the years 2004 and 2006. The same could not be said for the NJHEP. Pakistan was behind in the implementation and planning with the NJHEP. As a result, the Court found that India had a priority over Pakistan concerning the use of Kishenganga-Neelum River for hydro-electric power. The Court did emphasize that Pakistan had a right for a minimum flow of water from India on the Kishenganga-Neelum River. However, the data that the Parties had submitted to the Court on this issue was insufficient and therefore requested further information. This had to be submitted by the Parties in June 2013 and the Court would then issue a Final Award towards the end of 2013. Before turning to the merits of the Second Dispute, the Court addressed India’s objections to the admissibility of this dispute. India argued that Pakistan had not complied with the dispute resolution procedures outlined in the Treaty and, due to the technical subject matter, the Second Dispute could not be decided by a panel of arbitrators. The Court dismissed both arguments and found that the Second Dispute was admissible. India argued that a neutral expert is required to resolve a technical question unless both the Pakistani and Indian Commissioner agree otherwise. To this the Court noted that neither of the Commissioners actually requested that the issue be referred to a neutral expert. Additionally, there was no restriction in the Treaty concerning the Court’s ability to address a technical question. Thus, the Court found that the Second Dispute was admissible. With regards to the merits of the second dispute, sedimentation can accumulate at the bottom of the reservoir which can interfere with the flow. This is a common problem for dams and maintenance is required. There are a number of different methods utilized such as sluicing and flushing. Sluicing allows the sedimentation to flow out of the reservoir. Flushing involves drawing the water level in the dam down to the bottom and expelling the sedimentation by using the force of the river. Drawing down the water is required for both methods, but it is greater for flushing. Pakistan argued that drawdown flushing would reduce the reservoir level below Dead Storage Level and this would allow India to control the amount of water flowing further downstream, contrary to the Treaty. India, however, argued that drawdown flushing was the most effective means to get rid of sedimentation and that it is permissible under the Treaty. There shall be no outlets below the Dead Storage Level, unless necessary for sediment control or any other technical purpose; any such outlet shall be of the minimum size, and located at the highest level, consistent with sound and economical design and with satisfactory operation of the works. The Court noted that the paragraph constraints the design of the outlets. These design restrictions would make no sense if they did not also apply to the uses of Dead Storage. If it was allowed to deplete the reservoir to Dead Storage Level then, according to the Court, it would make no sense to place design restrictions in the Treaty. The purpose of the Treaty was to ensure both Parties are able to use the waters productively. It would make no practical sense if, by prohibiting drawdown flushing, it resulted in the inability to ensure adequate maintenance of the reservoirs. Nevertheless, the Court did recognize that there were other methods at India’s disposal to tackle sedimentation. Paragraph 14 of Annexure D stated that the filling of Dead Storage should be in accordance with either Paragraph 18 or 19 of Annexure E. The Court noted that Paragraph 19 prohibited the depletion of the Dead Storage Level unless it was for unforeseen emergency. Tackling sedimentation was not an unforeseen emergency. Additionally, drawdown flushing was not necessary for the hydro-electric plant to function properly. There are other methods that India could consider such as sluicing, a viable option where the drawdown is not as severe. India is vindicated in its claim that the KHEP’s inter-tributary diversions are permissible under the Treaty. At first glance it might appear that India ‘won’ the dispute. This is especially the case if one takes the view that Pakistan’s ultimate objective was to prevent the construction of the KHEP. On the other hand, Pakistan was successful in preventing India from using drawdown flushing, since Pakistan was concerned about India having the ability to control the water flow further downstream. According to John Briscoe, this was Pakistan’s primary objective all along. However, it is important to recognize that the case is not over. The Court is still expected to issue the Final Award later this year. In that Award the Court will decide on the exact scope of India’s minimum flow requirement. This is highly important and could have future implications with respect to both Parties use of the waters. We can expect more disputes between the two states concerning other dams that are being planned along the Indus Rivers. As the first arbitration brought under the Treaty, the Indus Waters Kishenganga Arbitration should be recognized as a significant achievement. This is because the two rival nations sought to resolve their dispute amicably by utilizing the dispute resolution procedures under the Treaty, thus helping reduce political tension between them. One can only hope that the same approach will be followed in the future.